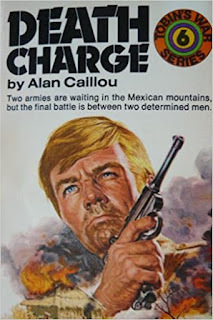 Colonel Tobin’s Private Army #6: “Death Charge” by Alan Caillou. Mexico and the South American states are suffering a rash of kidnappings of American businessmen for ransom. The abductors made their demands, and if they are not carried out completely the hostages die. 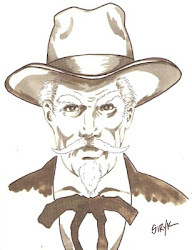 Colonel Tobin is asked to bring his private army in to take down the rebels, but they are hidden in the mountains of the Sierra Madres, and not easily assessable. This time many men are killed in the operation, including the higher rank of the army, and it may be Colonel Tobin’s last battle. It should have been the final battle, but I think there is one more book in the series. 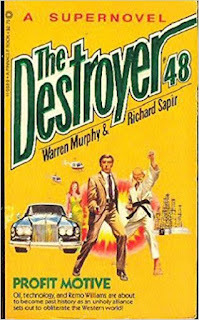 The Destroyer #48: “Profit Motive” by Warren Murphy & Richard Sapir. It seems like a good idea at first--a bacterium developed to consume oil spills at sea. But when the bug mutates, threatening to convert all the petroleum in the world into wax, Western civilization is suddenly up for grabs. 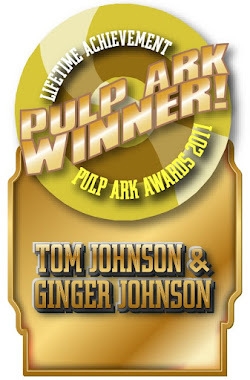 And a lot of slimy characters are determined not to let it slip through their fingers. Which is where Remo and Chiun come in--that is, until the Master of Sinanju cuts out ... joining the opposition. It seems that black gold generates a lot of the yellow kind and someone's offering to send a little something extra to a certain Korean village ... Remo's left in a real bind. And with his mentor bent on wiping out all that the ex-cop stands for, now, more than ever, it looks as if the Destroyer and CURE are nearing the end of the road. 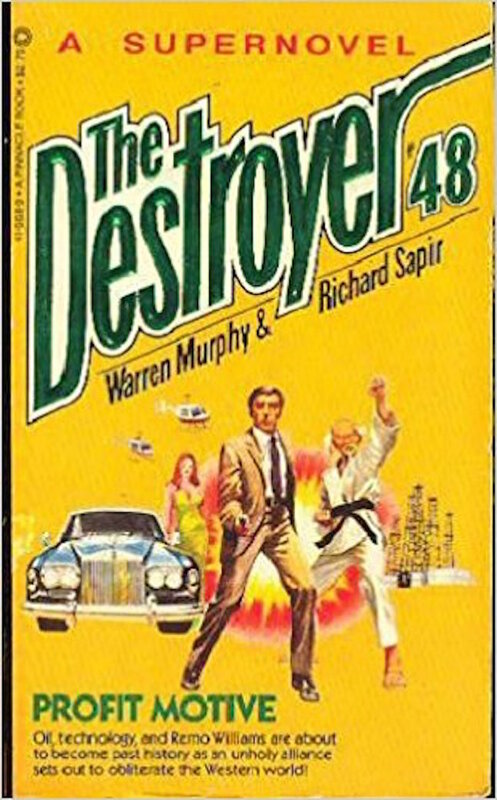 Well, not really, it’s all a plan to stop the madness, but the novel is a little sillier than normal, and the extra length (it is a super novel, after all) doesn’t help the reader any. Usually I don’t mind the silliness, but this was a bit too much. Not one of the best.